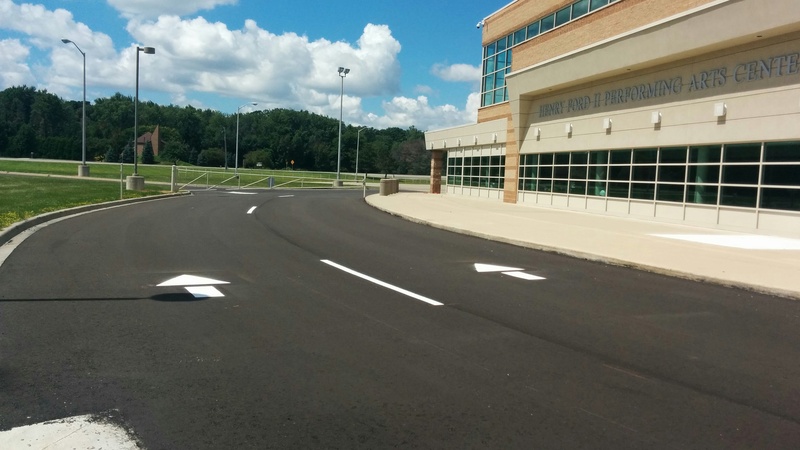 AEW provided the design and full construction administration services for reconstruction of the “Road Proper,” the circular driveway surrounding Henry Ford II High School, a Utica Community Schools facility, in Sterling Heights. The project included the removal and replacement of the drive and the replacement of all interior sidewalks. The $650,000 project was completed in the summer of 2015, prior to the start of the new school year. The approximately one-half mile road includes a sidewalk around the interior of the road, as well as sidewalks in sections of the exterior side. The project included the replacement of structurally deficient screen wall at the main entrance to the facility, and the district was also able to save some valuable financial resources by incorporating, at AEW’s suggestion, the televising and cleanout of the storm water system. More than 40 years old, the system ranges in size from 12 inches to 48 inches in diameter, and it lies directly beneath the roadway that was already being replaced. We were able to identify and correct three damaged pipe locations in the system. Utica Schools also invested approximately $65,000 at Henry Ford II High School in 2016 to replace their track that is used for track and field events. The project included correcting worn or settled areas of the track by removing sections of the rubberized surface, repairing subsurface issues, and then installing new rubberized material. Following the selective repairs completion, the entire track received two coats of rubberized structural spray that will significantly extend the lifespan of the track. To complete the project, the track was restriped per the National Federation of State High School Association’s guidelines. AEW provided the design and full construction administration services for this project. Both projects were completed on time and within budget.